In a previous post titled Native Memristor Device Development in Xyce, I showed how to create the Joglekar memristor model natively in Xyce, by first cloning an existing Yakopcic device model followed by implementing the Joglekar’s dX/dt behavior. In this post, I show how we first modified our current memristor model – the Metastable Switch Model – in order to fit into the Xyce si\mulator’s constraints followed by the code showing the implementation. 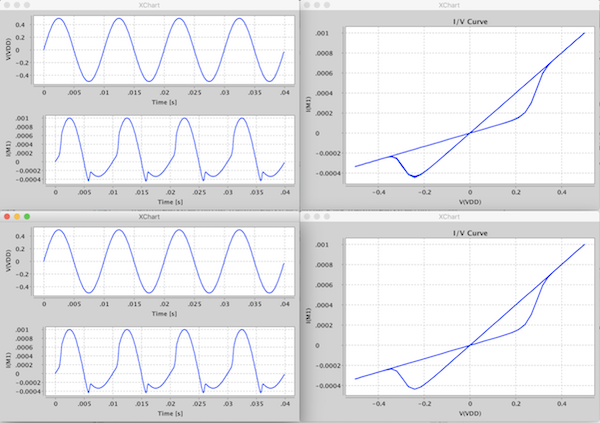 Full source code for the model can be found at the memristor-models-4-all Project on Github. Define the main state of the device as X [0,1], rather than N_off. It’s the same but it’s scaled to one and is continuous. Define the state, X, in terms of . Defining On and Off aren’t strictly necessary for Xyce, but \much easier for everyone else to understand the model at first sight, as it’s become the standard convention in memristor modeling. For a different reference to see how other groups define , see the Yakopcic Model, equation 7. First off, here is a summary of the model parameters. Note that for now, I removed the two oppositely connected Schottky diodes in parallel with the collection of metastable switches. Note that (temperature) is also a parameter hidden in . The problem here, as you can see in the above mess, is that there is no way to refor\mulate that in terms of . The MSS model was developed specifically to investigate the behavior of our learning circuits as memristors transitioned from well-behaved incremental devices to low-precision stochastic or binary devices. It can do this because of the calls the the random number generators. Unfortunately, this means that the rate of change of the device conductance is non-deterministic and the ‘dt’ is wrapped up in the function call to the random number generator. While this is a more realistic and flexible device model, it is not compatible with some circuit si\mulator engines. Fortunately, the derivation of the MSS model gives us an easy way to fix this problem. This is now in a form that Xyce can process. Before continuing with the implementation, it’s worth taking a look at some of the equations above to get a better intuitive sense of what’s going on. The following plot shows the Logistics Function (standard) and the two scaled versions of it adapted to and . We can see that the probabilities are between 0 and 1 and that as the voltages approach the threshold voltages (+0.27 and -0.27 V) the probabilities are 0.5. Going beyond the threshold voltages in either direction drive the probabilities towards 1. 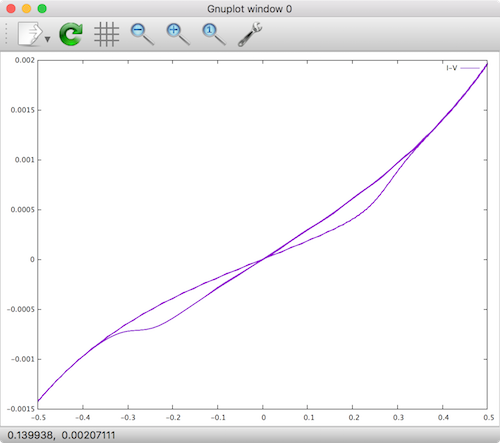 Note that this plot looks very similar to the window function you will see in descriptions of other memristor models. One nice side effect of this model is that there are no extra checks on the bounds of X necessary like some other models. This is due to the Logistics function being bounded between 0 and 1. We call this new version of the MSS model the MMSS model, which stands for Mean Metastable Switch. Si\mulations comparing the original MSS and the new MMSS model in our own custom circuit si\mulator written is Java look the same, which is to be expected for large values of switches. Given the results in JSPICE, I was confident that we could get this to work in Xyce. Most of the changes that were necessary for implementing this device in Xyce are exactly the same as in the previous post: Native Memristor Device Development in Xyce. The interesting portions of this device implementation are in the function Master::updateState and in the Sacdo templates. 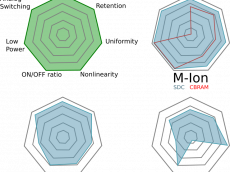 Here are the Sacado templates used, which implement the bulk of the model. The Xyce si\mulation file used to test the new MSS device follows. Once rephrasing the MSS model in terms of , integration into Xyce was possible and pretty straight forward. The following screenshot shows the matching results from the above custom Java si\mulation. , where . A value of represents a device that contains no Schottky diode effects. We added the diode current component after realizing that the MSS component alone didn’t allow enough flexibility to fit a wide range of existing devices. After adding the diode component, we were able to fit data of a diverse range of memristors to the general model. , where , , , and are positive valued parameters setting the exponential behavior of the forward and reverse biases exponential current flow across the Schottky barrier. 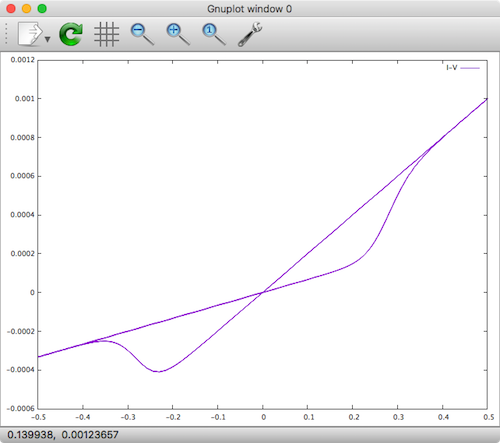 , the following hysteresis plot emerges. 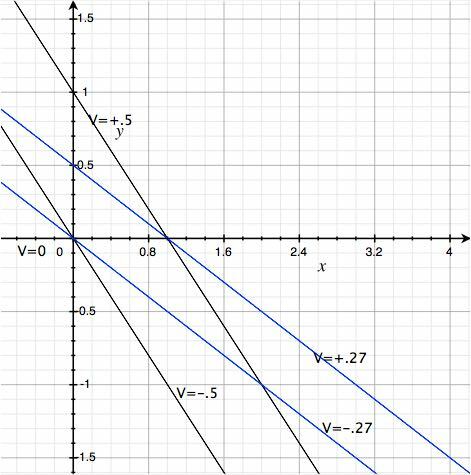 We can see that the addition of the forward and reverse Schottky diodes causes the shape of the forward and reverse current to take on a more exponential behavior. With this addition, fitting a very wide range of devices is possible, making it a good general model. 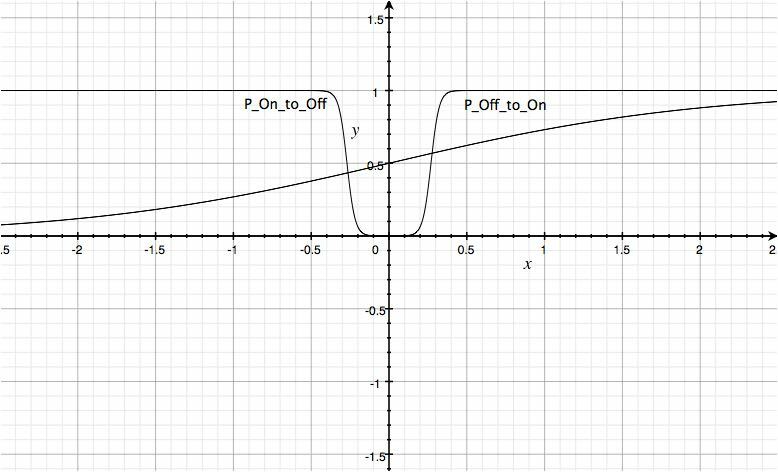 In this post I introduced the mathematics and implementation as a native device in Xyce of our generalized mean metastable switch (MMSS) memristor model. As a reminder, the model source files can be found at the memristor-models-4-all project on Github. Be sure to stay tuned by signing up for our newsletter and/or subscribing to our RSS feed to get the latest information about our memristor modeling progress. In the future, we will be blogging about more SPICE tools, other model implementations, and other memristor modeling advancements!